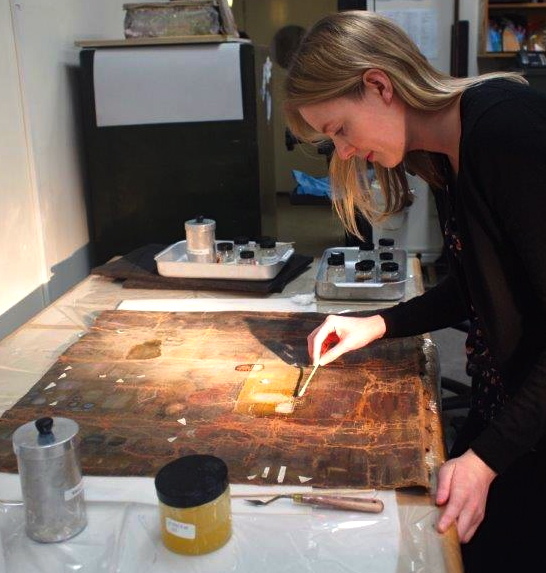 At the end of her first year on the Postgraduate Diploma in Easel Painting Conservation at the Courtauld Institute of Art, Sally had learnt a number of ancient techniques. She ground pigments, following traditional recipes to make some of them, including natural Madder root (red lake) and Brazilwood bark (deep purple and red). “Many of the techniques were difficult and painstaking and the experience has certainly increased my appreciation for the skill of the artists of Trecento in Italy. One craft (which she particularly enjoyed) was “decorative punch work: my finished panel has every inch of its gilded surface embellished with elaborate punched patterns”. 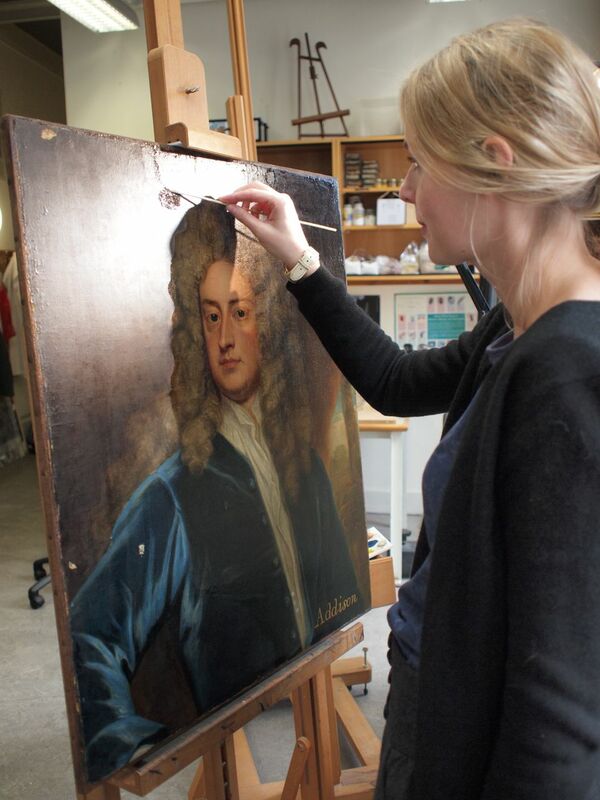 Sally also worked on an equestrian portrait of George III, which had large areas of retouching. After careful study she was able to remove areas of overpaint and reveal the original paint. She was supported at all times in the treatment of the picture but was also encouraged “to take responsibility myself as a large part of my future career will depend on being able to make informed decisions on the best way to conserve works".